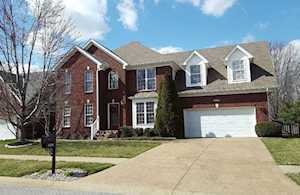 Welcome to Forest Springs, a subdivision in the 40245 zip code in Louisville. Located right outside of Anchorage, Forest Springs is accessible from La Grange Rd. Forest Springs began development in the 1990s and continued on into the 2000s. 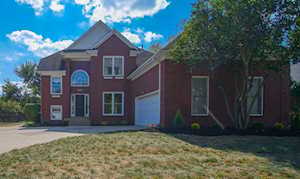 In this subdivision, you will find brick traditional style ranch and two-story homes. The style of the homes has uniformity without looking cookie cutter. Residents tend to take great care of their homes in Forest Springs. Driving through the neighborhood, you will notice lush green lawns and manicured landscaping. Homes in Forest Springs range from $250,000 to $370,000. 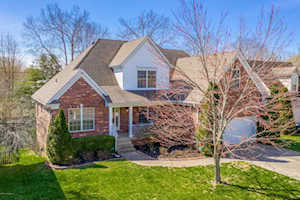 Click the map on the left to view each home for sale in Forest Springs. There is a satellite view button in upper right. The subdivision has a clubhouse that many residents enjoy. The clubhouse includes swimming pools, tennis courts, and exercise rooms. Homes in this subdivision have between 1,500 to 3,000 above grade square feet. The majority of homes have basements and many basements are finished. Two to four full bathrooms and three to five bedrooms are usually what you'll see in Forest Springs homes. Many homes in Forest Springs have an open floor plan, making these homes equipped for entertaining. For grocery shopping, Kroger is within a couple minutes of Forest Springs. Close by restaurants includes Wild Eggs, Double Dragon, Old School New York Pizza, The Goat, Wick's Pizza, and New Directions Bar & Grill. The closest shopping centers to Forest Springs are Springhurst and The Paddock Shops. Both shopping centers are about eight miles away from Forest Springs. Oxmoor Mall and Mall St Matthews are both about nine miles away. Forest Springs is in the Jefferson County School District. The following public schools are in close proximity to Forest Springs: Chancey Elementary School, Stopher Elementary School, Bowen Elementary School, Kammerer Middle School, and Eastern High School. The following private schools are close by Christian Academy of Louisville, Covenant Classical Academy, and Holy Angels Academy. 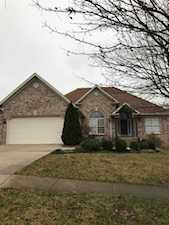 The Hollinden Team updates these Forest Springs homes for sale every day from the Louisville MLS. If you would like to learn more or have any questions about any of these Forest Springs homes for sale, just click the "Request More Information" button on any property detail page. We can provide you with past sale information, comparables, disclosures, and tax info -- and we'd love to answer any questions you have.